Anyway, I use this cream every morning and it leaves me feel fresh-faced, young, soft, and fantastic. The best part is that you only need a tiny bit to do the whole face ^_^ I purchased this at Farmers, which seems to be the go-to place for any Za products. My favourite thing about this creamy gel is how light it feels on my skin. It absorbs very quickly and leaves my skin soft and pleasant-smelling. One fingertip’s worth of gel leaves my face moisturised and smooth for the whole day, and I also feel that it has minimised oiliness. It has been a long time since I have used a face moisturiser that left me feeling so darn fresh! Hi do you use the Dewy effect lotion before the dewy effect creamy gel? Is the dewy effect lotion like a toner? No I’ve never used both products at the same time, just one or the other. 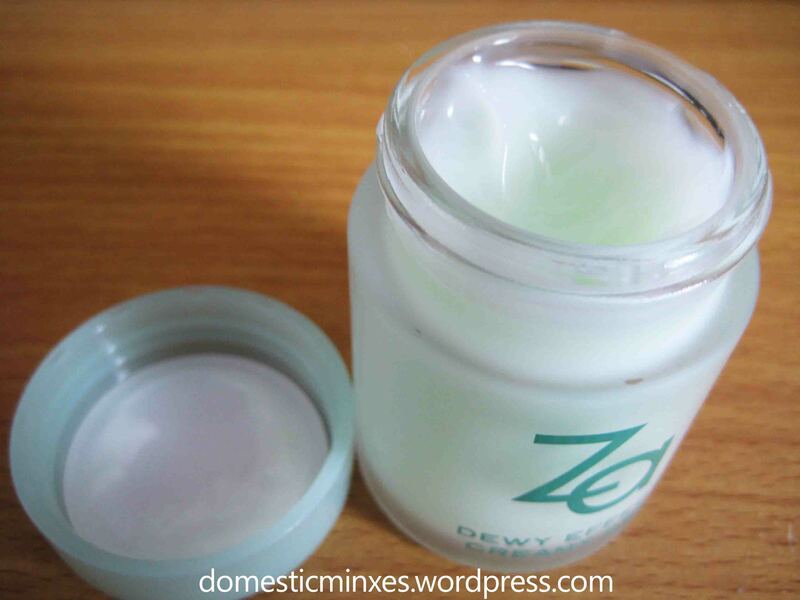 The Dewy Effect Lotion is definitely more like a moisturiser than a toner, it’s too creamy to be a toner. They are both really good products though, either of them is a great addition to your daily skincare routine. Thanks it does help! Do you use them at night or? Hey again 🙂 yeah I have used both products in the morning and in the evening!